The cult classic that revolutionized marketing by teaching businesses that you're either remarkable or invisible. Few authors have had the kind of lasting impact and global reach that Seth Godin has had. In a series of now-classic books that have been translated into 36 languages and reached millions of readers around the world, he has taught generations of readers how to make remarkable products and spread powerful ideas. 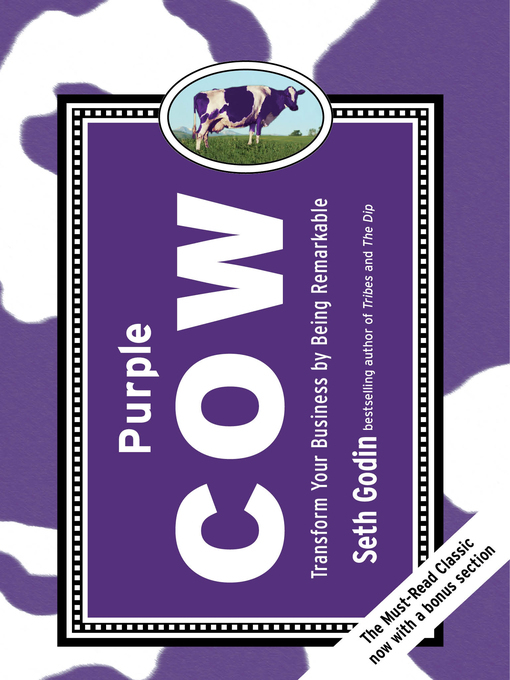 In Purple Cow, first published in 2003 and revised and expanded in 2009, Godin launched a movement to make truly remarkable products that are worth marketing in the first place. Through stories about companies like Starbucks, JetBlue, Krispy Kreme, and Apple, coupled with his signature provocative style, he inspires readers to rethink what their marketing is really saying about their product. In a world that grows noisier by the day, Godin's challenge has never been more relevant to writers, marketers, advertisers, entrepreneurs, makers, product managers, and anyone else who has something to share with the world.